For day two of Indie Appreciation Week, I’d like to share some gorgeous polishes I received in my A Very Canuck Swap box last week. Kayla was so generous and gave me three polishes from MTL Creations. Bill is a shimmery blue jelly that actually becomes relatively opaque with three coats. I’m usually not a big fan of jelly polishes on their own (I prefer using them for nail art), but I love this shade of blue and was pleased to see it build up easily. Apple Crush is my favourite of the three, as it’s the perfect warm, shimmery red, without being orangey. The formula is a dream and only required two thin coats. 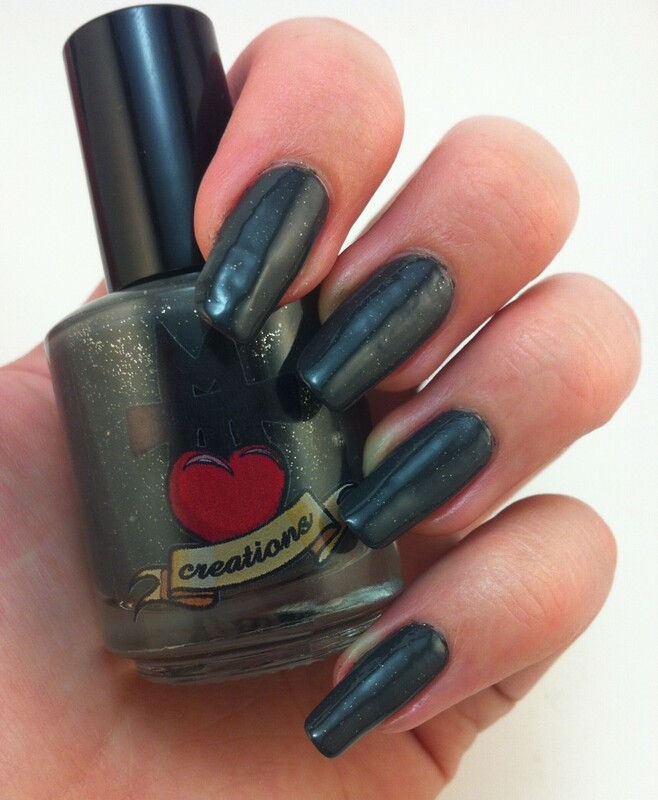 Adilyn is a charcoal grey creme with fine silver glitter. It goes on completely opaque in two coats and is the perfect cold weather colour. I’m really impressed by these polishes and will certainly be adding more MTL Creations to my collection in the future.